Are you going through hard times? Do you wonder where God is when your world feels like it’s falling apart? 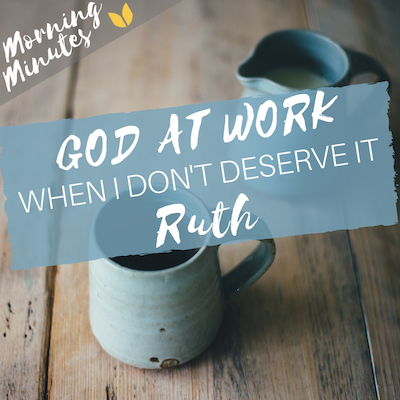 In this verse by verse study of the book of Ruth you will be encouraged to see that God is at work even when you can’t see it clearly, or even when you feel like you don’t deserve it. God is at work, He is faithful to His promises and will continue to fulfill his purposes with your life no matter what.